08 Apr Help! Which Fender Should I Choose? I have always been confused about Fenders, particularly the Telecaster and Stratocaster, two of the most iconic and copied guitars in guitar history. Fender also have the Jazzmaster, Jaguar, Mustang and Duo-Sonic shapes in their catalogue. You can buy a Fender made Tele or Strat for £250 (or less if you go for a Squier version) or one for £2500 or more. They all look the same but will sound different due to the different pickups, hardware and woods used. So why the difference? Well the £250 guitar was made in a Fender factory in the Far East and the £2500 one in the US, where you can also get ‘American’ models for about £850 -£1350; if you go for the Mexican made models they will cost around £500-750. 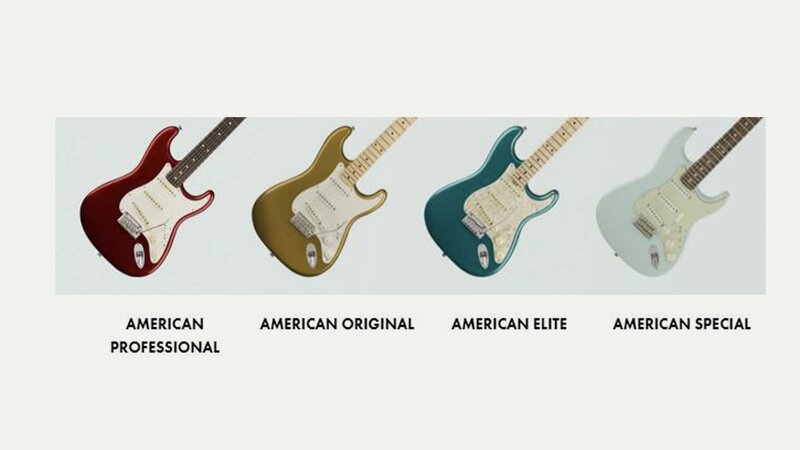 But that is not the end of the confusion because Fender make ‘ranges of Tele’s and Strat’s which can be unique to the country of origin or to the type of woods and components used. For example, on their website they have the American Original, American Professional, American Elite, American Special, Artist, Classic, Deluxe, Limited Edition, Offset, Standard, American Performer, Made in Japan Traditional, Parallel Universe and Player Series of guitars. That doesn’t include the Custom Shop, Signature models, Specials, Mod Shop and one-offs (or the Squier range). And that is just this years’ models. Phew! Thankfully (or not) they all come with either a maple or rosewood fretboard and a similar range of colours. Each ‘range’ will have its own pickups and hardware, configurations and sounds. So how do you choose one? Well if you really want a Fender Strat or Tele then pick a price range – this will determine if it is Far East, Mexican, Japanese or US made (with the quality and desirability in that order); then choose if you want a guitar with single coils for that ‘Fender’ sound or another combination of pickups; choose your fretboard – maple or rosewood; colour and finish. You can also decide if you want one that looks like it has been run over by a truck (Road Worn or Vintage for example) or a shiny new one. Easy. If it feels right – that is the neck is great to play and feels comfortable and the guitar feels right either sitting down or standing up – then that is the one for you. If you can’t quite get the sound you want then never fear as the range of ‘after-market’ pickups, either from Fender or other makers, is vast and you’ll have a great time choosing….